Do I need Gigabit LTE? There’s a common misconception that we need to address right away. Some people think that extreme speeds are only realized in ideal lab conditions, so they’re not relevant in the real world. Their argument is that current LTE devices and networks already support peak speeds of 300 Mbps or 600 Mbps, but actual speeds are lower. It follows, then, that there’s already “enough headroom” in the networks and thus the faster speeds are irrelevant. Here’s the thing. Gigabit LTE — and every other LTE innovation we’ve helped commercialize in the past few years — directly contributes to improving the real-world speeds that you’ll experience. Gigabit LTE provides more consistent Internet speeds as compared to previous generations of LTE. In an extensive network simulation conducted by Qualcomm Technologies, we placed LTE devices of varying capabilities from Cat 4 to Cat 16 (the Gigabit LTE category) in the same network. The average throughput achieved by a GB LTE device was comfortably above 100 Mbps. Depending on traffic type, the average throughput could be much higher. That’s compared to around 65 Mbps for Cat 6 devices, the current baseline for many LTE devices and networks. And these simulation results bear out in the real world. At the Sydney event, one analyst who tried the first Gigabit LTE device, reached 360 Mbps in a speed test. A real device on a live network in the middle of a very crowded tourist area — that’s the power of Gigabit LTE. The constituent technologies that make Gigabit LTE possible — carrier aggregation, 4×4 MIMO, and 256-QAM — are engineered to allow the network to allocate many more network resources to your device simultaneously than you would get with an older LTE device. Or, alternatively, allocate fewer resources to you without diminishing the speed. There’s an additional benefit as well. 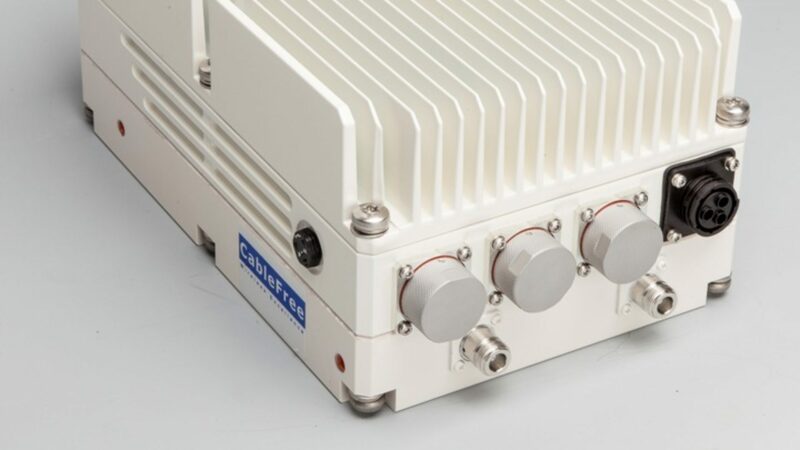 A Gigabit LTE device has four antennas in order to support 4×4 MIMO, giving it a hidden edge. In good signal conditions, you can get four streams of data that increase your speed, as compared to two streams with conventional LTE. In weak signal conditions, the additional antennas act like additional “ears” that are designed to help your Gigabit LTE device lock on to the signal from the tower, which can yield up to 70 percent faster speeds. Think about how slow LTE speeds can get in weak signal conditions. Wouldn’t this speed bump help quite a bit? A real-world study of this on T-Mobile’s network – using the Samsung Galaxy S7, which is capable of 4×4 MIMO – confirms this. Additionally, with Gigabit LTE devices, you should be able to finish your downloads much faster, with fewer resources from the network. This can improve the capacity of the network and allow it to serve other users sooner. Not only do you enjoy faster speeds, but other people connected to the same cell tower get faster speeds as well, even if they don’t have a Gigabit LTE device. So yes, you do need Gigabit LTE. It can improve your average, real-world speeds, give you better speeds in weak signal conditions, and allow other people to enjoy faster speeds too. Will mobile networks support these new speeds? Fifteen mobile operators in 11 countries intend to launch or trial Gigabit LTE in 2017. They include: T-Mobile, Sprint, and AT&T in the U.S.; EE, T-Mobile Germany, Vodafone, and Telefonica in Europe; and NTT DoCoMo, SoftBank, KDDI, and SingTel in Asia. And, of course, Telstra’s Gigabit LTE network is already live. We expect many more to come online over the next few years. It’s important to remember that many people are hanging on to their devices for longer. So even if on day one your network doesn’t support GB LTE, there’s a good chance it may over the lifetime of your phone. 2017 will be the year of Gigabit LTE. And with the right device, power users can enjoy next-gen experiences sooner than we expected.